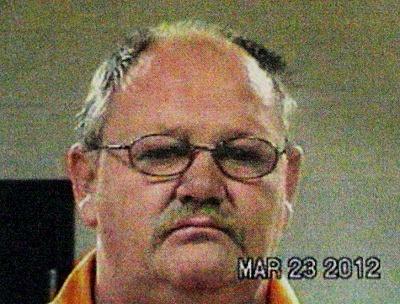 Timothy Allen Foss, Sr., 47, of Corrigan, is a convicted child molestor. Convicted Child Molestor Sentenced to Prison, LIVINGSTON, March 24, 2012 - A jury, yesterday (March 23, 2012), sentenced Timothy Allen Foss, Sr., 47, of Corrigan, to ten years in prison for indecency with a child, committed against his 9 year old nephew in approximately 2007. The case had been pending in the courts since indictment in 2009. The child, who lives in Paris, Texas, suffers from autism and had first made an outcry to his mother in late 2007. The charges were initially investigated by the Paris Police Department and the Child Advocacy Center of Paris, Texas and then forwarded to the Polk County Sheriff's Office. There were multiple past allegations of sexual molestation against Foss by his children. A 12 year old daughter made an outcry to an aunt (the mother of the current victim) in 1997. Records are unclear whether this allegation was ever presented to authorities. In 2000, two other twin 14 year old daughters made accusations of specific sexual abuse by Foss. These allegations were reported to Children's Protective Services (CPS) who interviewed several of Foss's children (he has seven). Foss denied this conduct and no further action was taken by CPS. It does not appear that law enforcement authorities were ever informed. When, in 2007, the current victim told his mother of being abused by Foss, he also related additional sexual abuse by two of Foss's children. Foss denied the charges and requested a jury trial.A jury found Foss guilty of Indecency with a Child by Sexual Contact on Thursday, March 22, 2012, a second degree felony punishable by two to twenty years in prison. Punishment evidence was heard by the jury on March 23, 2012. Foss has no prior arrests and several family members, friends and his pastor testified that he is a good man and has a great love for children, including involvement with children in church work. Several of the defendant's witnesses stated they did not believe he could have committed this offense. The prosecution presented evidence of the 1997 outcry by Foss's daughter. Shortly before noon the jury returned a sentence of ten years in prison.